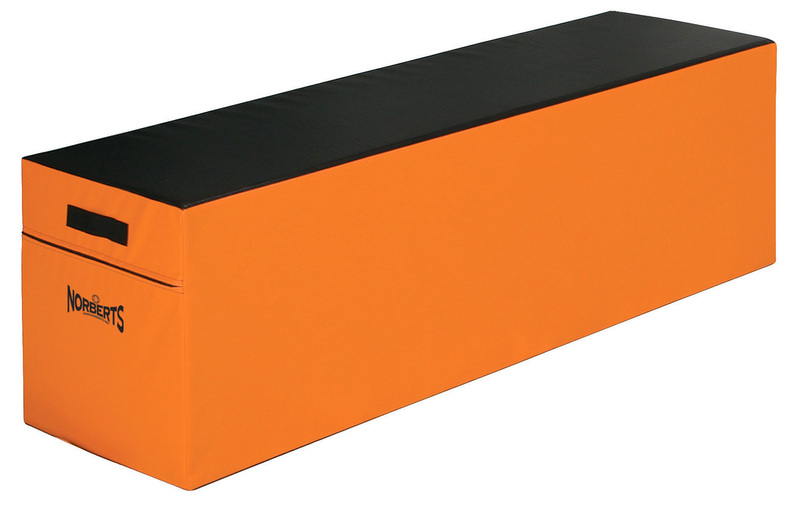 Econo Spot Block, 24" x 72" x 24" - Norbert's Athletic Products, Inc.
Econo Spot Block, 24" x 72" x 24"
FEBRUARY PROMOTION - THIS MODEL IS 10% OFF - CLICK LINK BELOW TO ORDER FROM OUR MONTHLY DEAL CATEGORY. We call it a Spot Block because you can use it to spot or when you need something (another vaulting box, perhaps) on the spot. Measuring 24"W x 72"L x 24"H, Norbert’s Econo Spot Block features Diamond Grip vinyl on the top and bottom of each block, helping them stay in place when stacked or used alone. Features extra-durable 18 oz. coated gray vinyl sides with nylon webbing handles to make positioning easy. Our solid crosslink core is covered by a Lifetime Guarantee* Our solid core will never break down like polyfoam. *Norbert's brand block fillers are guaranteed to the original owner against manufacturing defects in materials and workmanship for the lifetime of the product. Only original, unaltered and unmodified materials and workmanship are covered by this policy. This guarantee does not cover damage caused by accidents. Should a block filler lose its shape or stability, Norbert's will repair or replace the block filler at our discretion. Vinyl block covers are guaranteed for 1 year. Econo Spot Block, 30" x 60" x 24"
Click the button below to add the Econo Spot Block, 24" x 72" x 24" to your wish list.